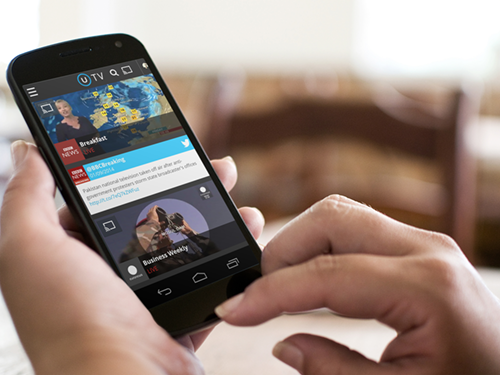 We’re pretty excited to tell you about a new proof-of-concept we launched today at IBC 2014. Something we’ve noticed working on the cutting edge of multiscreen for almost two decades, is the sheer increase in information and entertainment combined with the proliferation of devices. It’s making it harder for the consumer to find what they want, at the time they want it, and making it harder for you to reach them. Imagine one app that unites all forms of content (video, web, social, email, images & text) and brings it together in one simple browsing experience, intuitively pushing content based on what it knows you like to access, when, and on what device. Introducing Piksel Mosaic – the adaptive content ecosystem that does exactly that and gets smarter and easier to use, the more you use it. “Piksel Mosaic presents a radical new opportunity for the TV and media industry. The level of flexibility that we have built into the technology means we can create a bespoke, micro-service for an individual in a way that hasn’t been seen before across all screens.” - Mark Christie, Chief Technology Officer, Piksel. This hyper-personalized service thrives on the fact that content consumption is strongly dependent on context such as the location, the time of day, the device being used. While phones are reached for news and weather updates, the commute is driven by our tablets, work hours by our laptops or desktops, and TV is still the dominant preference for long format evening entertainment, with perhaps some companion screen viewing on a smartphone or tablet. Having a single access point and all-in-one single ecosystem creates a valuable environment to retain viewers, driver deeper engagement, build loyalty or monetize using targeted advertising. Plus, the consistent tiled-based look-and-feel plays to the individual strengths of the device used - TV, smartphone, laptop, desktop or tablet – making for a frictionless user-centric experience. Read the full press release for more. If you are at IBC and are interested in the future of content discovery, multiscreen, and hyper-personalization, you have to see Piksel Mosaic for yourself. Visit us at Booth 1.C30, or reach out to us to schedule another time.